Some of the most important factors in building a new home is one that is designed for you and that is safe, warm, comfortable and saves energy. Marlin Custom Builders has taken that to a new level by adding ICF products to their building process that allow you energy savings, stability, safety and beauty. 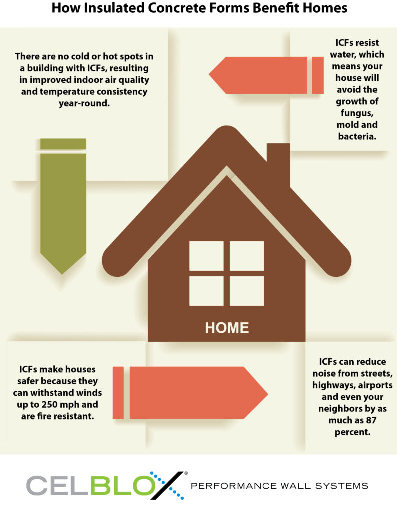 This means your home will be more comfortable because indoor temperatures will not fluctuate nearly as much as homes built using traditional types of materials. 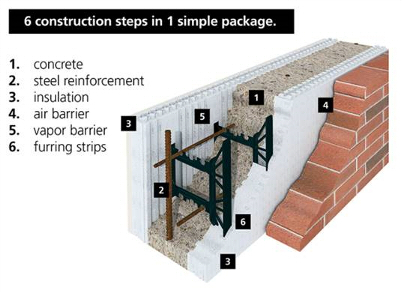 We know you need to start with a strong dependable foundation that is why we choose to use insulated concrete forms and performance wall systems. Marlin Custom Builders is dedicatrd to build a higher standard home with your family in mind. Find our more about our products. 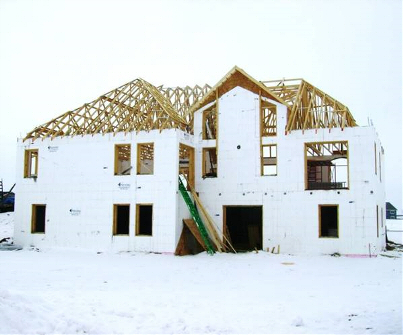 Whether you live in the cooler North or warmer South, are building a large or a small home, are constructing your entire home or just your basement with Logix ICFs, with LOGIX you are upgrading to a high-performance family home that works better, lives better and lasts better. Built Faster: 6 steps in 1 means you’ll finish your home sooner. Quiet and comfortable home, makes you a happy home owner!